I know the holidays are right around the corner but we really hope you will make it out to this week’s meeting where our very own, Melissa, will be teaching a Free Motion quilting workshop! Thanks, Melissa!! The meeting will be as usual- Wed. Dec. 7th, Milhopper Library: Meeting Room A at 7:00pm. 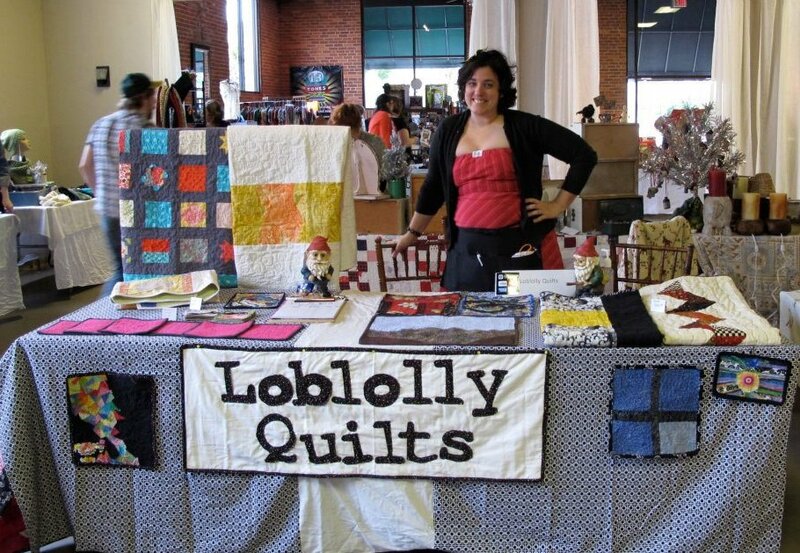 Please come prepared and ready to start at 7:00pm so we can jump right into quilting! – your sewing machine AND an extension cord to make sure everyone has access to a wall outlet. This means you should look through your collection of presser feet and look for something that looks like the feet below. 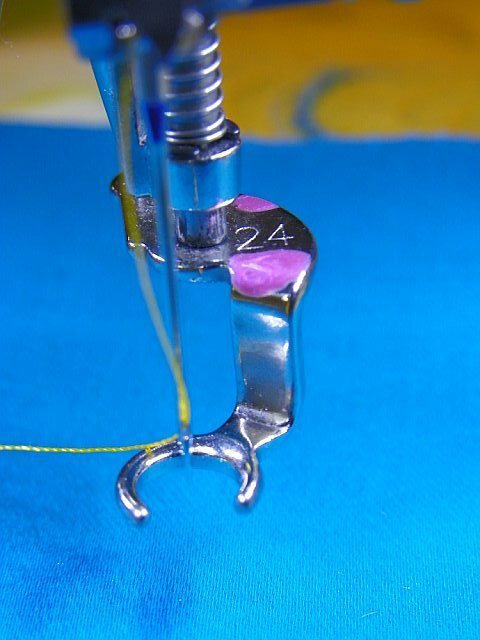 They can be called free motion quilting, open toe, stippling or darning foot. – thread with a contrasting color, the contrast helps to see when your tension is incorrect. 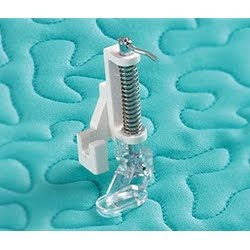 – a new 90/14 or 100/16 needle for your machine- universal is fine. – THREE 12″ x 12″ quilt sandwiches (Top, batting and backing)- we suggest that one of the fabrics on each sandwich be solid and the other can be busy/patterned so you can see the difference in each. The solid fabric will show EVERYTHING in your quilting- good and bad. The busy or patterned fabric will blend mistakes better. – the batting: I don’t recommend really fluffy polyester batting for this workshop. You want to be able to move your sandwich evenly and the flatter it lays the better- go with 100% cotton or a cotton/poly blend. 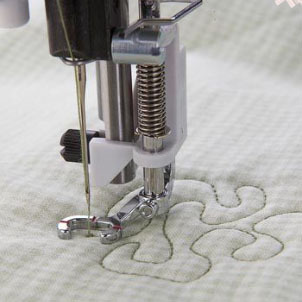 -Your quilt sandwiches should be basted together whether: by hand, using a basting spray or run some lines of basting (long) stitches with the machine on it. I won’t be able to make it to the workshop because I’ll be in Boston for work but I will see you all in the new year! Hope you all have a blast and someone please take pictures! !